When one member of a family suffers from addiction, the rest of the family suffers too. The same could be said for anything that destroys both the body and the mind, because no one truly lives on an island. Our lives are intimately connected with those of our loved ones. Addiction can cost someone their job, livelihood, and eliminate any stability they once had, so it’s quite common for their loved ones to try to ‘rescue’ them. This comes from good intentions, but it can result in codependency and enabling – behaviors which reinforce an addict’s negative behavior and allow it to continue. We provide a specialized family therapy program which supports an addict’s loved ones through their own unique experiences of addiction recovery. The causes of drug addiction and alcoholism are heavily debated. Some believe it’s partly genetic, others believe it’s more circumstantial, and others link it to psychological causes. Our family therapy isn’t about working out where to lay blame, it’s about looking at the events that led up to the individual’s addiction and what’s allowing it to continue. Drugs affect both the mind and body, but unless a serious overdose takes place or the user experiences side effects which are impossible to ignore, they may be in denial regarding the negative effect substance abuse is actually having on them. If their loved ones aren’t informed either, ignorance can be dangerous. This is particularly true in the cases of legal drugs such as alcohol and prescription medication. We endeavor to teach everyone who takes part in our family therapy to understand the psychology of what their family member is experiencing. A family’s empathy will ideally help aid their recovery. Codependent and enabling behavior is an understandable pattern to slip into when someone deeply cares for a family member experiencing addiction problems. Enabling behavior can include giving someone money, covering up their habit, justifying their behavior to others and even lying to the police on their behalf. Our therapy encourages people to identify this behavior in themselves, and positively change the way they interact with the recovering addict in the future. The period directly after recovery, when a former addict leaves the facility, is crucial. Family members need to know what’s expected of them, and what they should avoid. It can be easy for people to slip back into learned codependency, which can make relapse more likely. Ultimately, the codependent relationship must change, and our therapy can guide family members through this change so they’re constantly informed and feel in control. 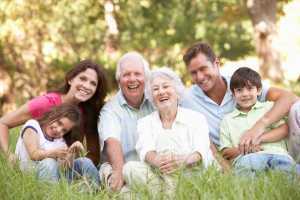 Is our family therapy right for you? Family doesn’t necessarily mean that people are related by blood, we support the therapy of anyone close to someone recovering through one of our treatment programs, from friends to colleagues. To fully support your family member as they fight their addiction, it’s a real benefit to engage with family therapy and learn about their addiction, whether there have been previous codependency issues or not. Our therapy sessions are conducted in a safe and welcoming environment, a forum for anyone to discuss the impact addiction has had on their life.